Global warming has caused the swelling and displacement of rivers that descend from the Himalayas and flow into the Bay of Bengal. In the Sundarban Delta, Ghoramara Island once had a population of 40,000 however by 2016 this had reduced to just 3,000 inhabitants. 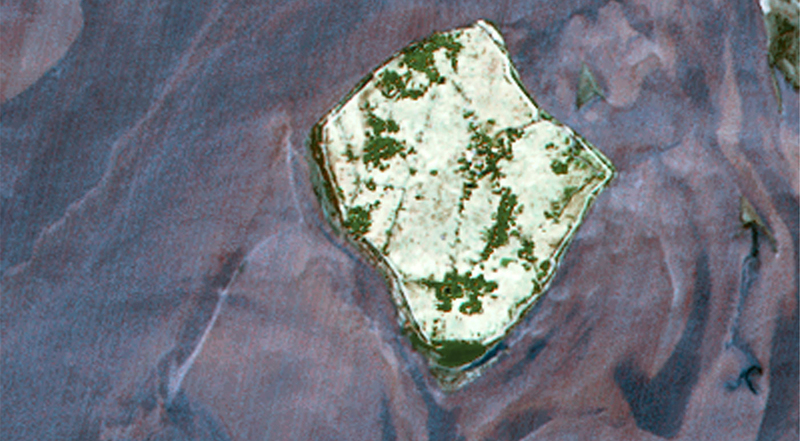 Known as the ‘sinking island’, it is now less than five square kilometres, about half the size it was back in 1969. 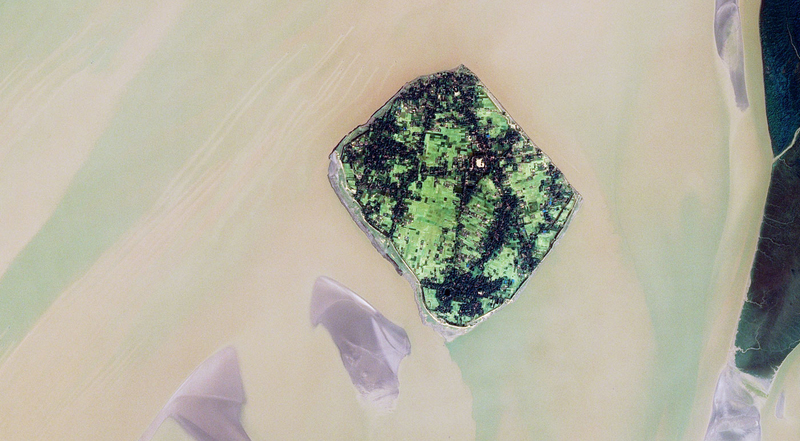 The erosion of the island is clearly visible between the 20m resolution SPOT 1 image captured in March 1989 and the SPOT 7 image acquired in November 2016.